Fabric and components protected against moisture and weather. Arm bracket of high-strength aluminium alloy. 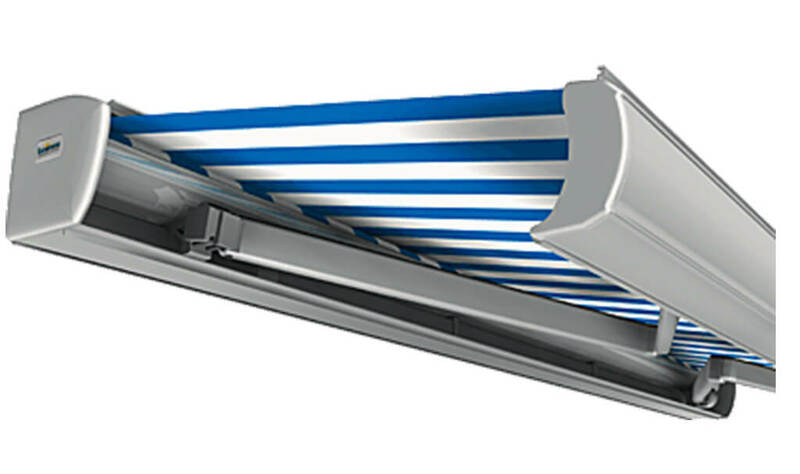 Sturdy front profile with double hollow chamber and integral rain gutter. Rust-resistant pins in Teflon-coated bearings. On linked units always electric motor. The integral fabric cover shell offers an elegant solution for concealing the fabric roller. Rounded design for a harmonious appearance from the rear. Protects the awning fabric.